After a recent collaboration with Misfit and their brand of premium trackable devices, the sensor tech innovators are offering a That Girl discount! Head to GETDEVICE.com and enter the discount code THATGIRL at the checkout, to receive a 20% discount off their flagship product, The Shine. To miss out on the That Girl discount opportunity would be madness! 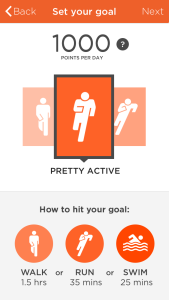 The Shine and its counterpart app (for iOS and Android) allow you to conveniently follow your fitness progress; you can set goals, keep food diaries, and practically monitor your every movement, giving you a clear and concise indicator of where you are, how you’re doing, and how far you’ve got to go! 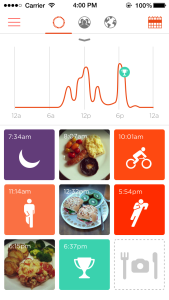 It can even track your sleep depth! A lot of what it takes to bring your own fitness journey to that next level are found in the small details of your lifestyle, and The Shine does a lot of that for you by providing a clear platform for you to monitor your progress. It can be worn in a variety of ways to suit you; not much larger than a couple of coins, you can rock The Shine as a wristband, a necklace or attach it to clothing via a magnetic clip. Sleek, fashionable and practical, you can see why That Girl is shouting Misfit’s praises! Misfit is a globally recognised brand which invents and manufactures premium wearable computing products, such as the Shine and Flash. Its partners include Coca-Cola, Victoria Secret and Swarovski, and were participants in the hospitality program of the 2014 Winter Olympic Games, distributing their high-brow fitness trackers to Olympians and fans alike. Misfit Wearables prides itself on “thinking differently” and vehemently mirrors the apple slogan (to which it owes its inspiration) “Here’s to the crazy ones. The misfits. The rebels. The troublemakers. The round pegs in the square holes.” Ever the innovators, Misfit, whilst remaining true to their fitness roots, have even brought their brand into the realms of home automation and smartphone control. Posted on Sunday, April 19th, 2015 at 4:59 pm. Filed under: Blog Tags: apple, discount, fashion, fitness, misfits, shine, Technology, thatgirl, watch	RSS 2.0 feed.